Despite strong protests from isolationists, the Lend-Lease Act passed both houses of Congress by wide margins. After the fall of France and the evacuation of Allied forces from Dunkirk, Nazi Germany controlled western Europe. Great Britain stood largely alone in the summer of 1940, facing isolation and possible defeat. The fall of Britain could have resulted in German control of the north Atlantic. The need to rapidly rebuild the British armed forces was imperative, but Britain no longer had the financial resources needed to acquire vital war materiel or the means to get it safely to its destination. Acting without prior announcement to the US Congress, in September 1940, President Franklin D. Roosevelt gave the Royal Navy 50 outdated US destroyers in an effort to assist British convoys that were transferring war materiel acquired in the United States through the north Atlantic Ocean. In return, Britain gave the US a number of long-term leases for naval and air bases in various British colonies in the Caribbean, Newfoundland, Bermuda, and elsewhere. On December 17, 1940, Roosevelt proposed a bill to allow the United States to "manufacture, sell, lend, transfer, lease, or exchange" weapons with any country that "the President deems vital for the defense of the United States." The bill, introduced in Congress on January 10, 1941 as HR 1776, raised a storm of controversy between supporters of intervention and isolationists, who saw this as a first step toward US participation in the war. Knowing that Americans were leery of being drawn into another European conflict, British Prime Minister Winston S. Churchill famously exclaimed, "give us the tools and we shall finish the job." Despite strong protests from isolationists, including Father Charles E. Coughlin, the Lend-Lease Act passed both houses of Congress by wide margins, clearing the Senate on March 8, 1941. President Roosevelt signed it into law on March 11. The program was repeatedly renewed by Congress throughout the war and cemented the role of the United States as the arsenal of democracy. 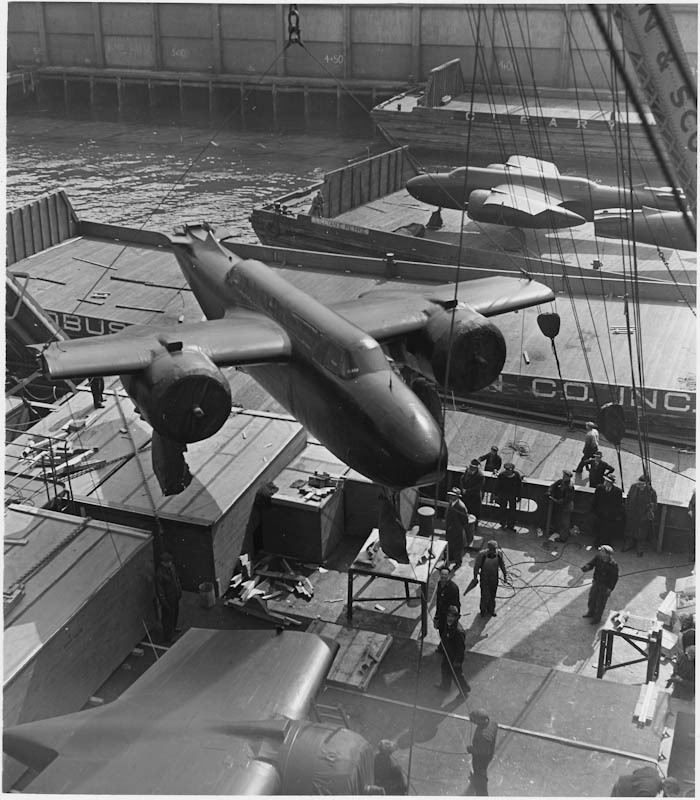 US industrial strength proved to be the decisive weapon of World War II. Typically, daily newspapers reported news the morning after it occurred. However, some papers were printed in multiple editions, including evening news. If you are using an evening paper, begin your search on the same day as the event being researched. January 1941 - March 1941 News articles,, editorials, opinion pieces, letters to the editor, and political cartoons about Congressional testimony and debate on the Lend-Lease Act. March 8 - 18, 1941 News articles about the passage of the Lend-Lease Act. March 11 - 31, 1941 Editorials, opinion pieces, letters to the editor, and political cartoons regarding passage of the Lend-Lease Act. Warren F. Kimball. Forged in War: Roosevelt, Churchill and the Second World War. New York William Morrow and Co., 1997. The Most Unsordid Act: Lend-Lease, 1939–1941. Baltimore: Johns Hopkins University Press, 1969. Stettinius, Edward R. Lend-Lease: Weapon for Victory. New York: Macmillan, 1944.